Your gutters are part of a system that helps move water and debris away from your roof and home, roof gutters help channel water away from the home and deposit it at a safe distance away from the home’s foundation. 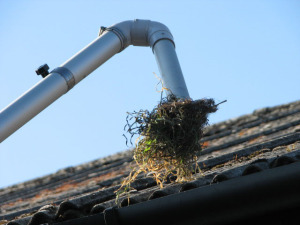 Gutter cleaning is an integral part of maintaining your home and we here at Dave’s Landscape know how gutter cleaning is probably at the bottom of your list of things you want to think about. The problem is, many homeowners wait to get their gutters cleaned until they notice a problem, or so much debris has collected the gutter is tearing from the roof. Cleaning your gutters is one of the most important things you can do to maintain the beauty and value of your home. When gutters are full of leaves and debris they become heavy and get pulled off pitch. This can result in damage. As water overflows it leaks behind the gutter and can travel into your home. It is the end of autumn and gutters are full of fallen leaves. will clean out rain gutters without using dangerous ladders, it is the leader in the industry for suction power performance. The system collects wet or dry leaves – maple/oak, pine needles as well as roof tile grit. The system performs to heights of most three story buildings and provides our clients with safe, reliable, professional gutter cleaning services. We get the job done right and right on time. Keep your gutter clear, clean out debris before the snow hits. 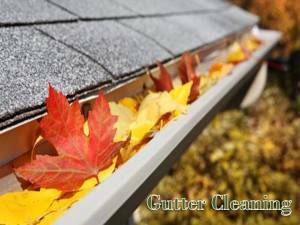 Contact us to get your gutters taken care of before the frost of winter comes.You can also reach us at 978-562-9591.